Pam and Edmund McIlhenny will tell you the numbers don’t lie. For example, the 5,000 Scoville heat units (SHUs) of their family’s TABASCO brand pepper sauce is a truth the average person’s tongue will affirm after just a few drops. The numbers that really told the story for the McIlhennys came from the proxy statement for the parent company of a national fractional aircraft ownership company that had left them stranded one too many times. “We looked at their public filings, saw they were cash-flow negative from operations and realized that the company only made money on selling airplanes,” said Pam. “That really made us question the sustainability of their business model,” added Edmund. Three- and four-hour delays were common and even had their business partner stranded overnight without a change of clothes when his return flight was canceled. Frustrated, the McIlhennys stopped using the jet and vowed never to get into the fractional market ever again. 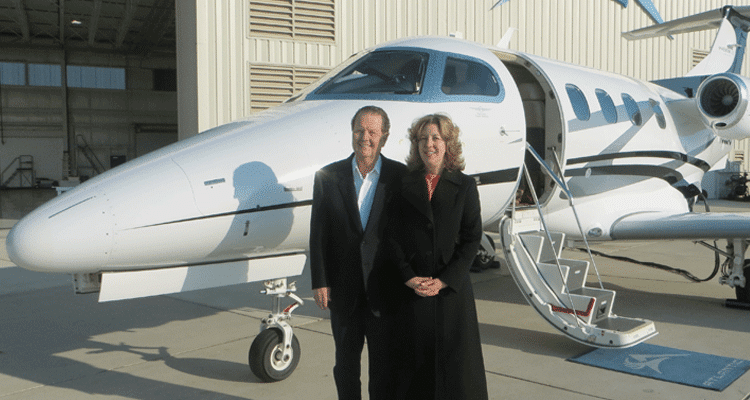 The McIlhennys were understandably skeptical when Airshare approached them about re-entering the fractional aircraft ownership market in 2010. “We vetted them pretty hard,” admits Edmund, noting that the courtship lasted more than eight months before he and Pam “dipped their toes in the water” by purchasing a 1/16th share of an aircraft. Airshare’s regionally-based operation greatly reduced the need to reposition aircraft during times of heavy owner demand. It allows the company to make aircraft available on a per-day basis. “We like the one-way pricing option a lot, too,” said Pam, noting that the McIlhennys will often fly one-way from Acadiana Regional Airport (ARA) to Austin, Texas (AUS). Better still, Airshare’s numbers made sense, too. The McIlhennys take comfort in knowing that the owner experience is key to Airshare’s success, and not a loss leader for aircraft sales.